Health is a deep and abiding part of each person’s essential nature, and is never lost. Deep within each of us, health is always available, and can be palpated (felt) as slow, steady rhythmic sensation. 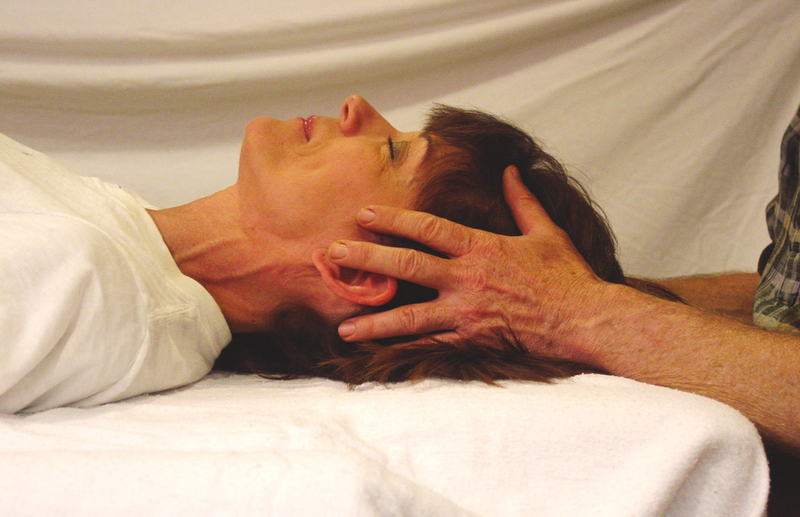 The Biodynamic Craniosacral Therapy foundation training is based on the “Breath of Life” perspective of craniosacral therapy by the founder of the work, Dr. William Garner Sutherland, and the continuation of the work by Franklyn Sills (author of Craniosacral Biodynamics). You’ll learn to experience the ever-present health within yourself and others in this revolutionary approach to healthcare. In gentle, non-invasive interactions between practitioner and client, you’ll experience how the Inherent Health of each client comes to the foreground and expresses its vitality. In this dynamic process, the client’s patterns of pain, stress and trauma begin to resolve. This training occurs in a series of class modules over a period of about two and a half years. The training starts with a 5-day Introduction to BCST, to allow you to preview the various aspects of the learning process and see how they work for your learning needs. These aspects include the classroom setting, the instructor and staff, the classroom dynamic, the pacing and more. We strive to create a learning experience that is relaxed, slow-paced and fun, while also being stimulating and engaging. You can take the Intro to BCST with no obligation to take the entire training. • Give 150 practice sessions (30 of which must be written up). • Receive 10 paid professional BCST sessions from RCST’s, including at least one from your instructor. • Write short essays on various topics and concepts about the work, based on the reading material and/or classroom experiences. • Do an anatomy immersion. Options are to do a series of required drawings/tracings, or to propose and complete an alternative anatomy project that accomplishes the same sort of learning. • Give two short tutorial sessions to your instructor or teaching assistant. • Complete a Culminating Project, either the traditional Cranial Nerve Project or an alternative project. • Upon completion of all of the above requirments and classroom hours, take a final examination.